It's official. 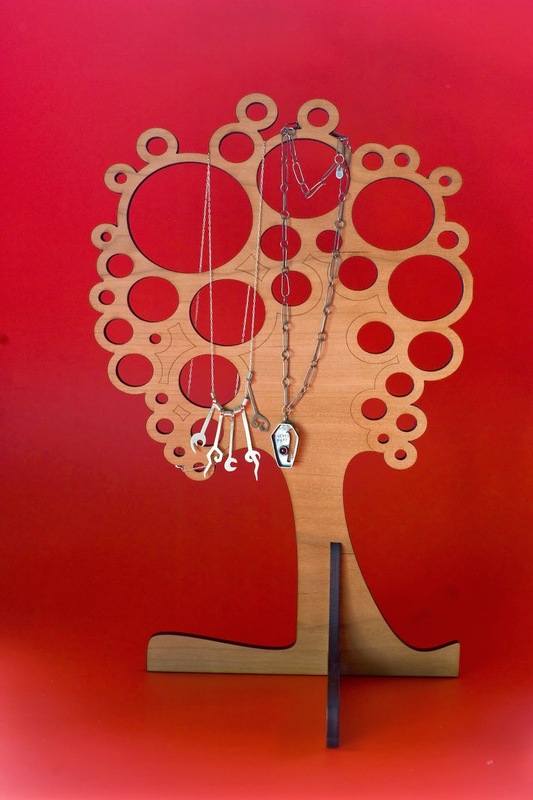 We have now supplied all of our closest women relatives with jewellery trees of different designs. 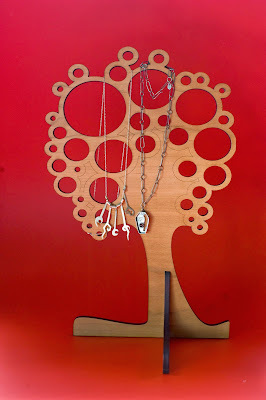 The latest, for my youngest sister-in-law, is a free-standing laser cut Rimu Veneer "fruit" tree. Mmmm fruit. I'm thinking oranges. "Veneer" generally denotes an MDF core, which is a material I tend to despise. However, it does have its uses, and is fantastic for laser cutting, especially the veneers. Check out examples of how veneer MDF can be used at Ponoko. The other sister-in-law received an extra-tall tree cut from 6mm Eurolite. The design is by Robyn Ward, and I added the engraved pattern to all the faces. The original tree design is covered by the GNU General Public License, but I'm certain that an application of a surface treatment is not considered as a change to the design, which is something that is excluded from this license. Then there was the wall mounted tree cut from 3mm alluminium and powder coated white. Styley as hell. It doubled as a first prototype for a product, so I cannot yet post pictures of it. Maybe one day. 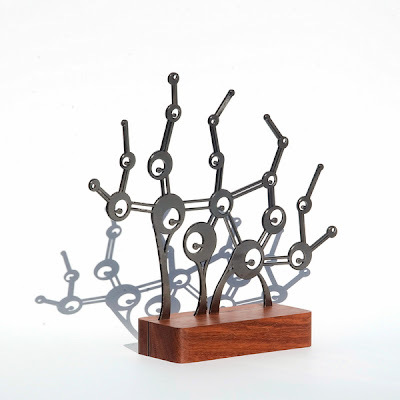 Lastly, there was a very involved stainless steel, acrylic on a jarrah base - a Christmas present from a couple of years ago, which I'm yet to document in a blog post of its own. Maybe one day. All the four trees are elegantly carrying out their duties, dutifully bearing a heavy load of jewellery.